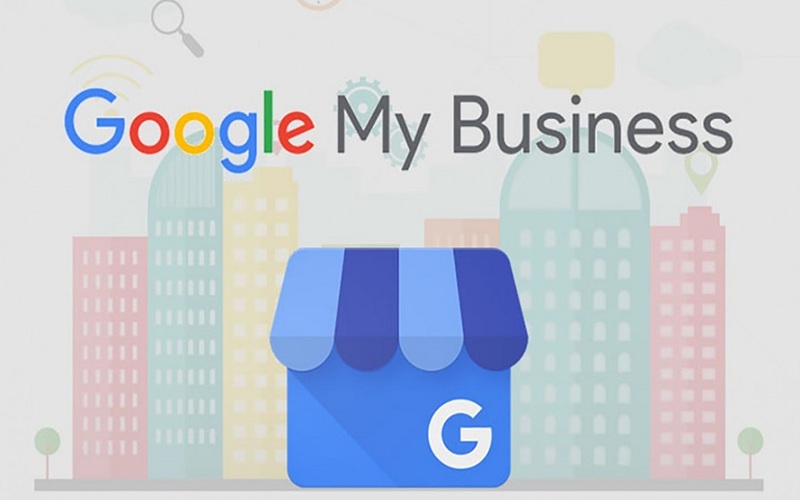 If you’re a small business owner looking to improve your local SEO strategy, the first step on your list should be claiming and verifying your Google My Business (GMB) listing. In claiming this listing, you’ll increase your chances of being found in Search Engine Results Pages (SERPs), Google’s Local Pack and Google Maps. The listing is completely free to claim and holds all of your relevant business information like hours of operation, address, phone number and more. So, after you’ve verified your listing, what should you do to make the most of this free listing? Here are a few tactics. 1.) Fill in your business information completely. First and foremost, it’s crucial to fill out all of your business information. 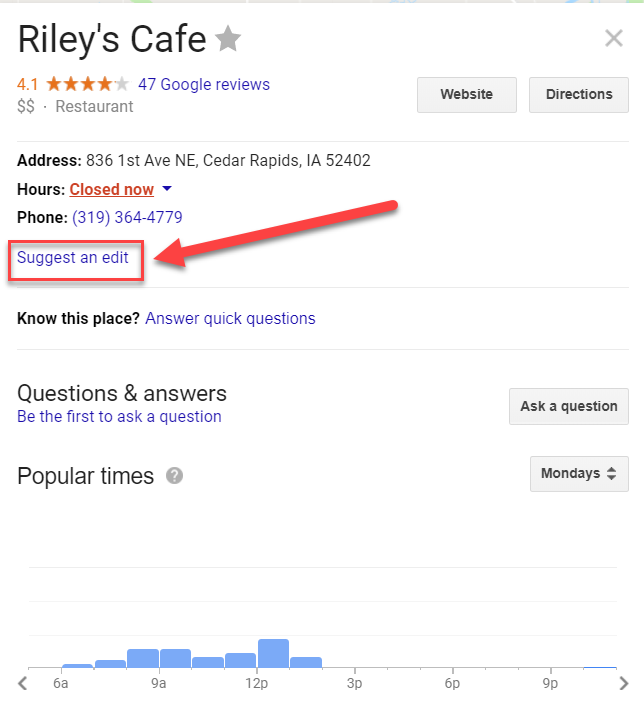 If you don’t, someone else can, as Google provides a “Suggest an edit” option where anyone can edit or change your listing. Monitoring and updating this information regularly is wise, as users are not notified when changes are made to their listing. Be sure to add photos, as consumers find visuals appealing and they can subsequently lead to greater engagement. Adding relevant keywords and search phrases to your listing can prove useful as well, as Google utilizes different signals to provide user’s search results. 2.) Utilize all of the available tools. Website Developer: The website developer creates a website for your business within minutes using the information pulled from your GMB listing. After choosing a custom domain, users can edit text, photos and other design features from any device. As information on your GMB listing is updated, the information on your site will update as well. Posts: Posts give small businesses the ability to share unique updates and offers in real time. Whether you’re having a big sale, announcing a new product or hosting a special event, use Posts to spread the word and get people excited and engaging. Be sure to use images in your Posts to make them more visually appealing. Questions & Answers: With this feature, businesses can post frequently asked and important questions and answers within their GMB listing. Messaging: This tool allows businesses to communicate directly with customers from their GMB listing. Users can answer questions, provide feedback and connect with customers in real time. Insights: Insights provide analytical data from your listing. This data can then be used to understand your customers, where they are coming from and what they are looking to find. The data displays customer interactions, including: how customers found your listing, where customers find you on Google, customer actions, direction requests, phone calls and photos. 3.) Manage and respond to customer reviews. Online reviews can significantly benefit your business in a number of ways. According to a 2017 Consumer Review Survey from BrightLocal, 97% of consumers read online reviews for local businesses in 2017, with 12% looking for a local business online every day. First, they can help improve your ranking in SERPs, as well as click-through rates. Secondly, they help you stand out against your competitors and build trust with consumers. Responding to reviews, positive or negative, demonstrates your commitment to your customers and that you value their opinion. The more positive, helpful reviews your GMB listing has, the better. Google encourages asking customers for reviews following a positive experience. They even provide step by step instructions on how businesses can create a direct link for customers to write reviews on your GMB listing. They also provide tips for responding to reviews. 4.) Add a variety of photos and video. Visuals have become an essential component to digital marketing. Visuals help humanize your brand, educate consumers and gives customers a look into what goes on within your business. 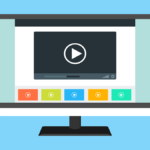 According to Google, almost 50% of internet users look for videos related to a product or service prior to visiting a store. 5.) Add a business description. A new component to the GMB dashboard now allows users to provide a brief description of their business directly within their listing. This description is meant to educate consumers on what sets you apart, things like product and service offerings, company history and other unique facets of your business. This particular description should be exempt of things like promotions, pricing and sales. The character limit is 750, however, only 250 of those show up in the knowledge panel, so be sure to make the most of those first few sentences. Business descriptions should not include any URLs or HTML coding. 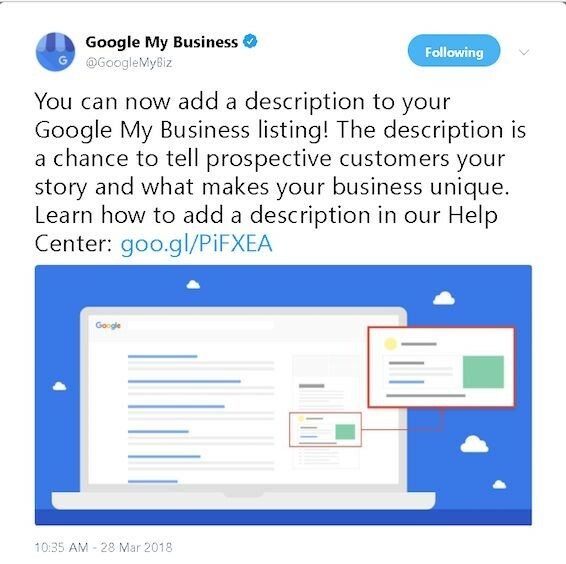 For more information on how to edit your business description, Google offers easy to follow instructions. Google also now allows users to turn on alert notifications for when a consumer opts to receive updates when you post new information or media on your listing. Claiming and optimizing your business’s GMB listing can provide endless opportunities for your small business. And the fact that it’s free is incentive enough to claim it. As new features are added, it’s important to stay updated and utilize them, as they will only help your rankings in SERPs and the local three-pack. It’s important for small businesses to take advantage of this free listing by creating a fully optimized page packed with high-quality content.